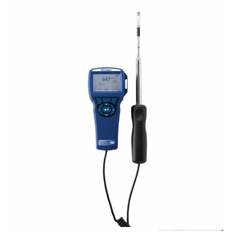 Our range of products include digital manometer, air capture hood, telescopic pitot assembly, air velocity meter, air velocity transducer and pitot tubes. 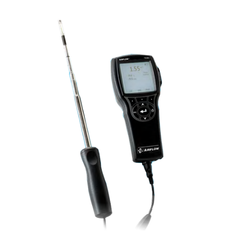 The DP-Calc 5825 micromanometers allow you to easily make HVAC pressure measurements. These robust instruments can be used with Pitot probes to measure duct velocity.The high performance DP-Calc 5825 can calculate flow and has data logging capabilities. 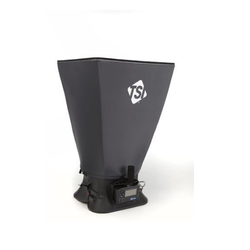 The 8380 AccuBalance® Air Capture Hood is a multipurpose electronic air balancing instrument primarily used for efficiently taking direct air volume readings at diffusers and grilles. It features a detachable micromanometer which can be used with optional probes for increased flexibility in multiple measurement applications. Telescopic Pitot Assembly is a unique air flow sensor which can quickly and easily be adjusted for any duct inersertion length from 11.5 to 36 inches. Includes: Instrument, hard carrying case, 4 alkaline bateries, USB cable and LogDat2 downloading software, operation and service manual and calibration certificate. 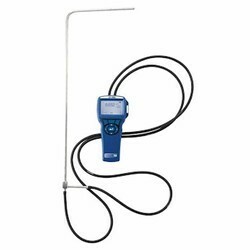 Air Velocity Meter, Articulated Probe, Temp, Basic Data Logging. We manufacture an excellent quality Air Velocity Transducer. These transducer are useful for Air velocity measurement in Air or non combustible gases. 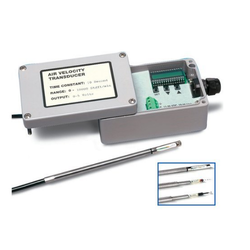 Air Velocity Transducers are ideal for both temporary and permanent installations for air velocity measurements in research and development labs, manufacturing processes, and other applications. 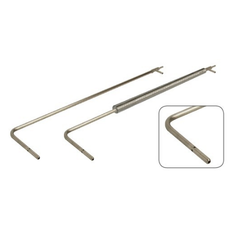 With our in-depth knowledge in this domain, we are offering a quality assured range of Pitot Tube. Our offered tube is procured from the certified vendors and tested properly at the time of procurement. Known for its durability and remarkable quality, the offered range remains in great demands across the market. By keeping in mind clients' different requirements, we offer the entire range in various sizes and dimensions. Includes: Instrument, carrying case, alkaline batteries, operation and service manual, and calibration certificate. LCA501 includes USB cable and LogDat2 downloading software. Rotating Vane Anemometer. Includes: Instrument, carrying case, alkaline batteries, operation and service manual, and NIST calibration certificate. RVA501 includes USB cable and LogDat2 downloading software. Features: Air velocity, temperature, volumetric flow rate and sweep mode. RVA501 also logs data. Rotating Vane Anemometer. 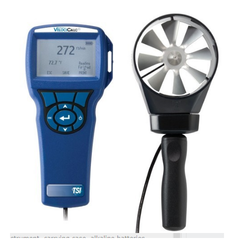 The VelociCalc® Model 9565 series are portable, handheld, Multi-Function Ventilation Test Instruments featuring a menu-driven user interface for easy operation in your local language. On-screen prompts and step-by-step instructions guide the user through instrument setup, operation, and field calibration. The 9565 also features an ergonomic, overmolded case design with probe holder and a keypad lockout to prevent tampering during unattended use. 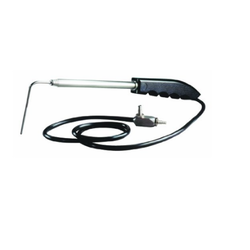 These instruments are available with or without a differential pressure sensor and are designed to work with a wide range of plug-in probes. Looking for Ventilation Test Equipment ?